CT2549 - This auto kit contains quality jumper cables, LED flashlight, first aid kit and more. Durable ripstop nylon case. 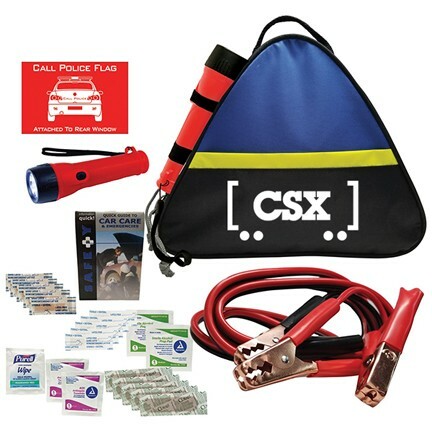 12" W x 10" H.
Blue/Black with white CSX railcar logo.